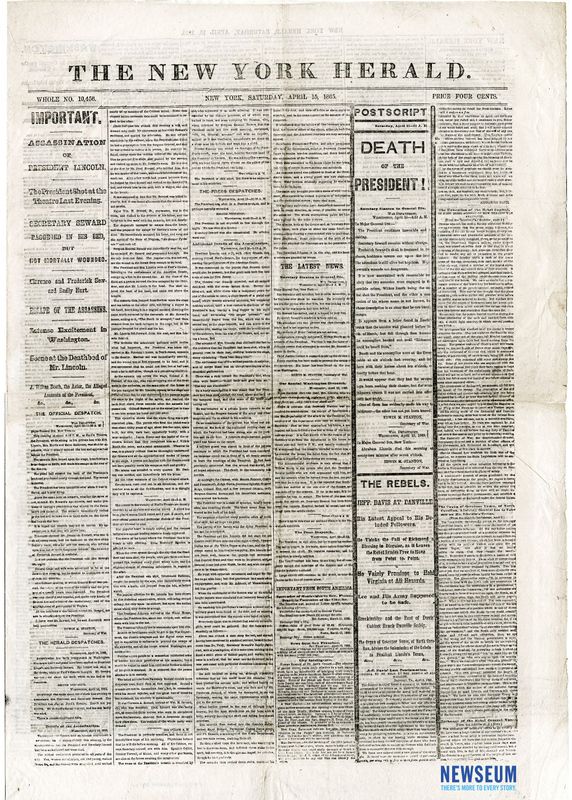 On April 15, 1865, The New York Herald published seven editions about the assassination of President Abraham Lincoln, including this 10:00 a.m. edition. Details of the plot to assassinate the president emerged in this edition. Secretary of War Edwin Stanton reported the discovery of a letter in John Wilkes Booth’s room at the National Hotel containing details of the conspiracy and implicating accomplices. The borders of the 5th column have heavy black borders [known as mourning rules] to denote the tragic news of Lincoln's death.